We've got another exciting giveaway today thanks to the hard working people over at ROCCAT, makers of quality PC accessories. 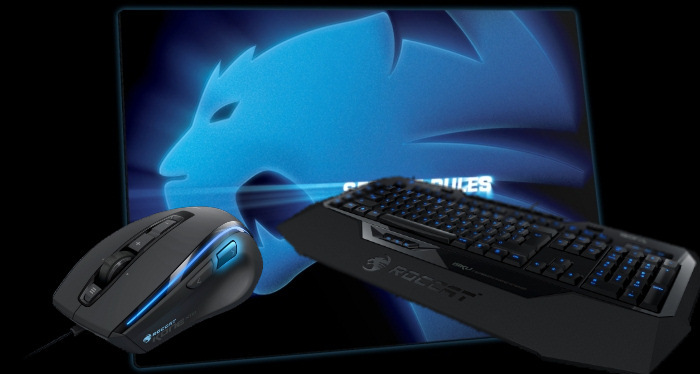 Up for grabs today are three items - The ROCCAT Kone XTD Gaming Mouse, The ROCCAT Isku Gaming Keyboard, and the ROCCAT Sense Series Gaming Mousepad. All three are up for grabs in a single prize pack for one lucky winner. You can read our review of the Isku Keyboard and the Kone[+] mouse here. We'll pick one winner on Wednesday, May 22nd. Standard contest rules apply - sorry USA only. You can enter once per day until then. Good luck! Page created in 0.5538 seconds.